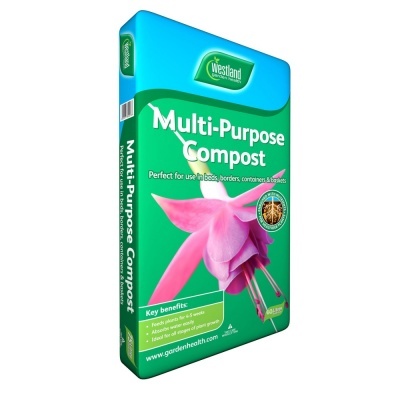 J Arthur Bowers Multi-Purpose Compost supplied in a 50 litre bag is a life partner for growing strong healthy plants. Contains all essential trace elements and recommended for seed sowing, potting, houseplants, containers or hanging baskets. Contains food for up to first 4 weeks plant growth, with recommended feeding after 4-6 weeks. Suitable feeds include J Arthur Bower’s Multi-Purpose Tub & Basket liquid plant food (every 7-14 days).